Nominated officers visited all the 77 stations over Asansol Division and conducted cleanliness drive. Shri N.K.Sachan, DRM inspected Asansol, Raniganj, Andal, Durgapur, Panagarh and Mankar stations. He also interacted with the passengers. 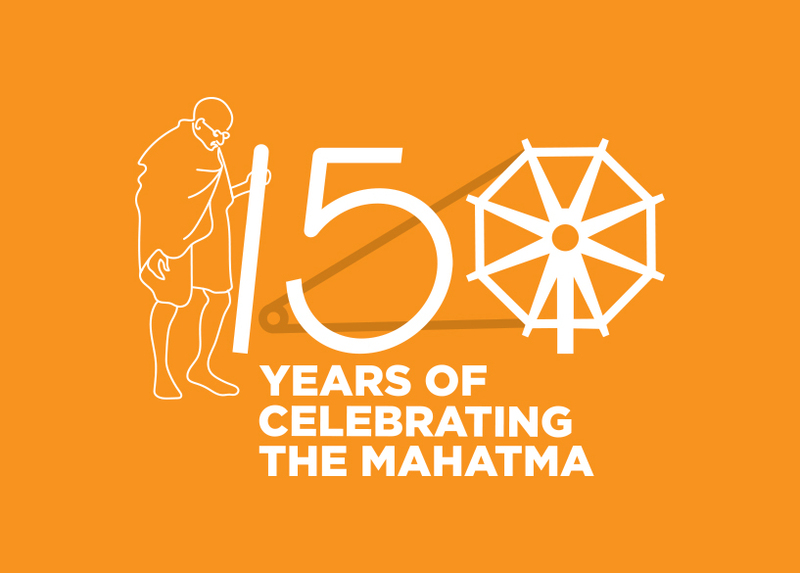 Shri Ishaq Khan – ADRM, Shri M.K.Meena - Sr.DEN/C, Shri A.Upadhyay - Sr.DCM, Shri A.K.Mishra - Sr.DOM, Shri P.K.Gupta - Sr.DSC, Shri M.K.Mishra, Sr.DSTE, Shri S.Singh – Sr.DME and many other officers were present during DRM’s inspection. 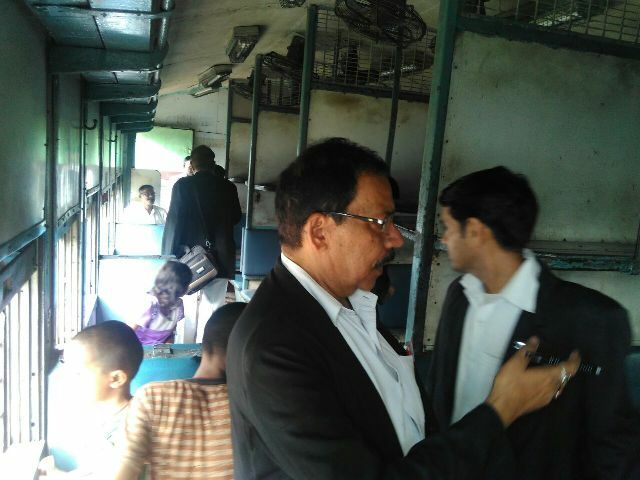 DRM also inspected Rly. Colonies at Andal,Durgapur, Panagarh and Mankar. 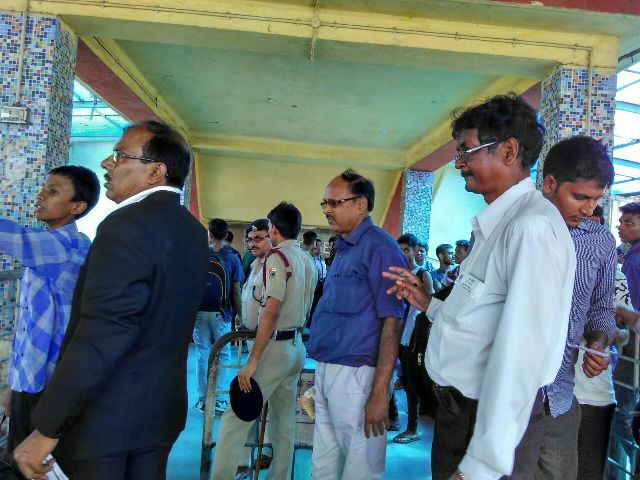 Shri Ishaq Khan, ADRM, Asansol inspected Madhupur station and also interacted with passengers during his journey. Divisional Cultural Association organized programmes at Asansol and Durgapur stations. The members presented songs on the theme of cleanliness at stations and in trains. Nukkad Natak was also presented by them. The volunteers of Bharat Scouts & Guides conducted cleanliness awareness campaign at Asansol, Durgapur, Madhupur and Jasidih stations. Plantation was also done at different places during visit of DRM and ADRM. FA & CAO also inspected cleanliness of Asansol station. Sr. DFM, Sr.DMO(H & FW), ACM accompanied him. Swachchata Diwas was also observed at Sr.DME’s office at Andal. Nukkad Katak at Asansol Station presented by Bharat Scouts & Guides to DRM, ADRM and Branch Officers of Asansol Division. 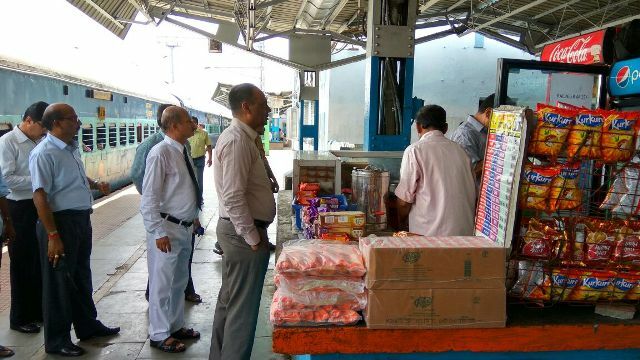 Inspection of Fast Food counter at Asansol station by DRM, ADRM & Sr.DCM, Asansol. Inspection of Escalator at Durgapur by DRM/Asansol along with Sr.DEN/C & Sr.DPO/Asansol. Inspection of Durgapur Concourse Area by DRM/Asansol and Branch Officers. Plantation was done by Shri N. K. Sachan, DRM/Asansol at Durgapur on 26-05-2016. Panagarh station Inspection by DRM/Asansol along with Sr.DEN/C/Asansol on 26-05-2016. Plantation was done by Shri N. K. Sachan, DRM/Asansol at Panagarh on 26-05-2016. Raniganj station Inspection by DRM/Asansol & Sr.DEN/C/Asansol on 26-05-2016. Inspection of Uninals at Raniganj by DRM/Asansol & Sr.DEN/C/Asansol. presented by Bharat Scouts & Guides at Madhupur station. Station Inspection by Shri Ishaq Khan, ADRM/Asansol at Madhupur. Madhupur Railway Colonies inspected by Shri Ishaq Khan, ADRM/Asansol on 26-05-2016. Shri N.K.Sachan, DRM along with Sr.DCM and SM inspected food stalls at Asansol station. He also inspected pantry cars of 02 trains at Asansol Platform. He also interacted with the passengers. 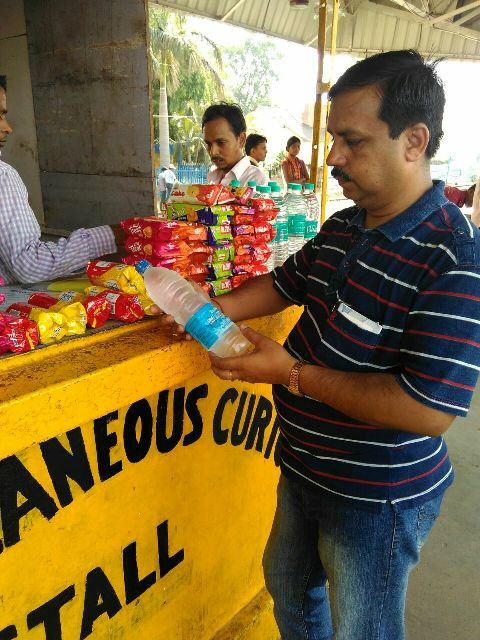 DCM/ASN inspected food & other stalls, drinking water facilities at STN, CRJ, JMT and MDP stations. 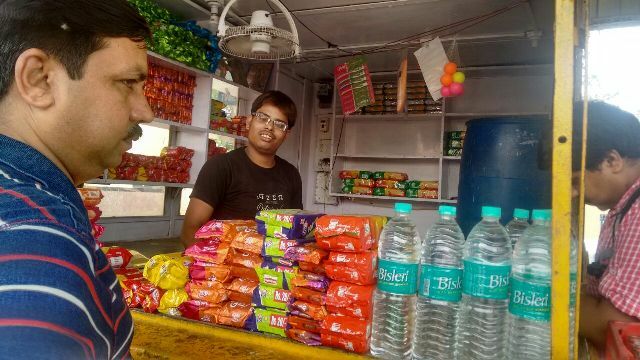 He imposed fine to the owners of food stall at STN (Rs. 2000/-) and Curio stall at MDP (Rs. 500/-). He also interacted with the passengers. ACM/ASN inspected Pantry car of 12303 Up and interacted with the passengers up to MDP. During his return journey, he interacted with the passengers of 13132 DN. 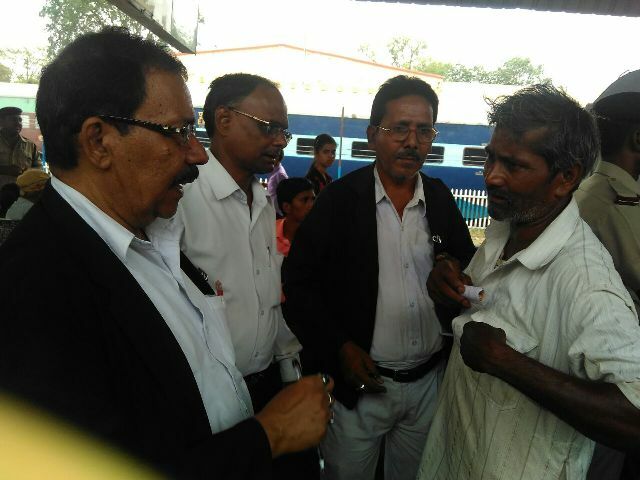 Shri N.K.Sachan, DRM travelled by 12303 Up upto Madhupur and interacted with the passengers. He inspected Pantry Car of the 12303 Up. He inspected Passenger amenities including drinking water, toilets, sitting arrangements, food stalls etc. at Madhupur Station. He also planted saplings at railway premises. He interacted with the passengers of Madhupur-Giridih Passenger train also. He has returned by 18420 Dn and interacted with the passengers. Shri S.Singh - Sr.DEN/II, Shri A.Upadhyay - Sr.DCM, Shri P.K.Gupta - Sr.DSC, Shri M.K.Mishra, Sr.DSTE, Shri N.K.Prasad– DME(C & W), AEN/MDP and many other officers were present during DRM’s inspection. Shri Ishaq Khan, ADRM travelled by 12024 Dn uptoDurgapurand interacted with the passengers. 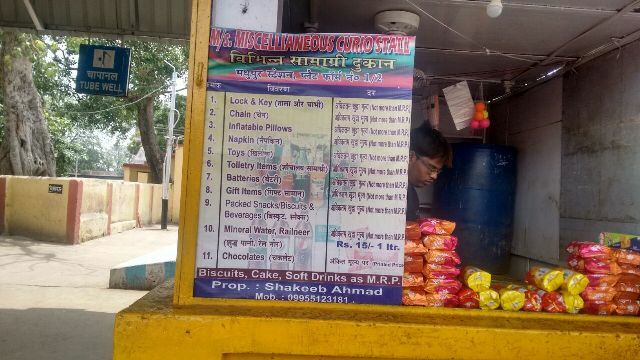 He inspected Passenger amenities including drinking water, toilets, sitting arrangements, food stalls etc. atDurgapurstation and also interacted with passengers at the platform. He has returned by 15235 Up and interacted with the passengers. Eighteen (18) nominated officers including Sr.DEN/C, Sr.DPO, Sr.DOM/G, Sr.DME, Sr.DSC, Sr.DEE/TRS, Sr.DSO travelled by nominated 34 trains during 10.00 hrs. to 16.00 hrs. over Asansol Division and interacted with the passengers. All public grievances including social media and other complaints/suggestions received during the month upto 28th May, 2016 were analysed in the DRM’s chamber for remedial action and redressal. Shri N. K. Sachan, DRM/Asansol along with Sr.DCM & Sr.DSTE//Asansol inspected the Pantry Car of the 12303 Up on 28.05.2016. Shri N. K. Sachan, DRM/Asansol travelled to Madhupur by 12303Up and interacted with passengers. Inspection of Misc. 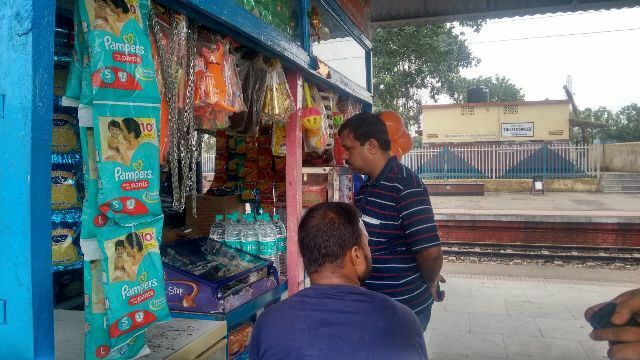 Curio Stall at Madhupur by Shri N. K. Sachan, DRM/Asansol. Station Inspection by Shri N. K. Sachan, DRM/Asansol along with Branch Officers at Madhupur. Plantation of sapling by Shri N. K. Sachan, DRM/Asansol. For achieving 100% punctuality of Mail/Express and Passengers Trains control office was manned by operating officer round the clock. All Mail/Express trains were foot plated by LIs/TIs/Sis/PWIs/SCs. Necessary remedial actions were taken at once to achieve the target. BOs took necessary preventive measures to minimise asset failures and proactive action for quick restoration in case of any unusual. Intensive Ticket Checking drive was conducted over various sections like ASN-PAN, DGR-BWN, MDP-JAJ, UDL-SURI & STL-CRJ. CITs and CTIs were deployed to supervise these drives. Intensive Ticket Checking drive was also conducted at different stations with the help of RPF and GRPs. Officers nominated were present and conducted drives at different stations and in different trains. Shri N.K.Sachan, DRM checked tickets of the passengers of different trains at Asansol station. Shri A.Upadhyay - Sr.DCM along with supervisors was present. Shri N. K. Sachan, DRM/Asansol checking tickets from passengers at Asansol station. checking tickets from passengers at Asansol station. DCM/Asansol conducting special Ticket Cheching on-board. ACM/TC/Asansol conducting special Ticket Cheching at Madhupur station. Shri N.K.Sachan, DRM/ASN inspected Railway staff colonies at Domohani, Old Station and traffic. He also planted saplings at these areas. Shri Ishaq Khan, ADRM/ASN, Shri M.K.Meena, Sr.DEN/C, Shri P.K.Gupta, Sr.DSC, Shri D.Mukherjee, Sr.DFM, Shri A.K.Mishra, Sr.DOM, Shri K.Ahmed, Sr.DEE/TRS, Shri H.K.Pandey, Sr.DEE/G, Shri M.Mukhopadhyay, DEN/HQ and many other officers were present on this occasion. A large number of volunteers of Bharat Scouts and Guides took part in the plantation programme. Cleanliness drives were undertaken with the help of local supervisors, staff and colony residents. 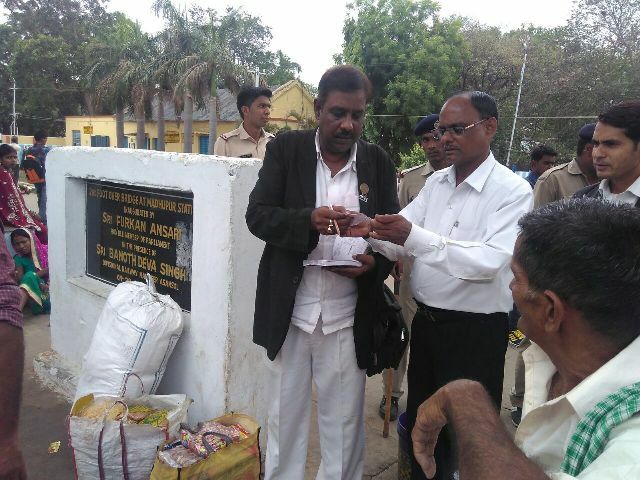 Nominated officers inspected railway staff colonies and spoken to colony residents at Andal, Galsi-Durgapur, Waria- Kalipahari, Barachak-Chhota Ambona, Sitarampur- Joramow, Madhupur, Jasidih, Giridih and Sainthia. 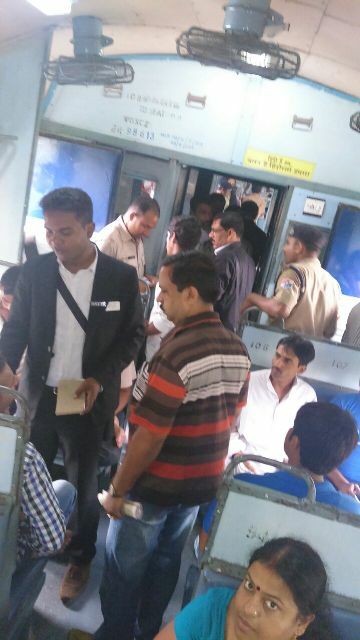 The officers travelled by trains also interacted with passengers during their journey. BO’s hold meetings with employees to listen to their grievances and took remedial action. Five (5) sporting events were organised by the Divisional Sports Association for the staff and their family members. Shri Ishaq Khan, ADRM/ASN handed over the prizes. Colony Inspection by DRM, ADRM and Branch Officers of Asansol. Plantation of sapling by Shri M. Mukherjee, DEN(1)/Asansol. at Divisional Stadium, Asansol on 30-05-2016. Event for children of Railway staff at Divisional Stadium, Asansol on 30.05.2016. Event for family members of Railway staff at Divisional Stadium, Asansol on 30.05.2016. Event for boys of Railway staff at Divisional Stadium, Asansol on 30.05.2016. Prizes given away by Shri Ishaq Khan, ADRM/Asansol at Divisional Stadium on 30.06.2016. Prizes given away by Shri M. K. Meena, Sr.DEN/C/Asansol at Divisional Stadium on 30.06.2016. Prizes given away by Shri M. Mukhopadhyay, DEN/1/Asansol at Divisional Stadium on 30.06.2016. Prizes were given away by Shri Ishaq Khan, Addl. Divisional Railway Manager, Asansol. Shri N.K.Sachan, DRM/ASN held a meeting with the freight traffic customers / Chambers of Commerce in the new meeting room. Shri Ishaq Khan, ADRM/ASN and all BO’s were present. 15 representatives of Press and media attended Press Conference/meeting. DRM/ASN presided during meeting. ADRM/ASN and all BO’s were also present.